The power of music and lifestyle is an incredibly important and unique tool that helps the human experience. 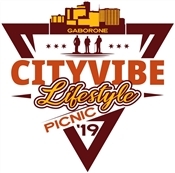 Colourful People Entertainment and Ortell Phillimon presents the CITYVIBES LIFESTYLE PICNIC, a social musical gathering where people from all walks of life come to celebrate this lifestyle event together, it is a force unparalleled to anything else. Let's bring our friends and families to come and have fun with our kids. Come and enjoy your fashion and lifestyle ambiance with us, don't forget Light, Camera Action will be ready for you.